LineageOS 15.1 for Xperia Z2 (sirius) is now available to download via a development build. 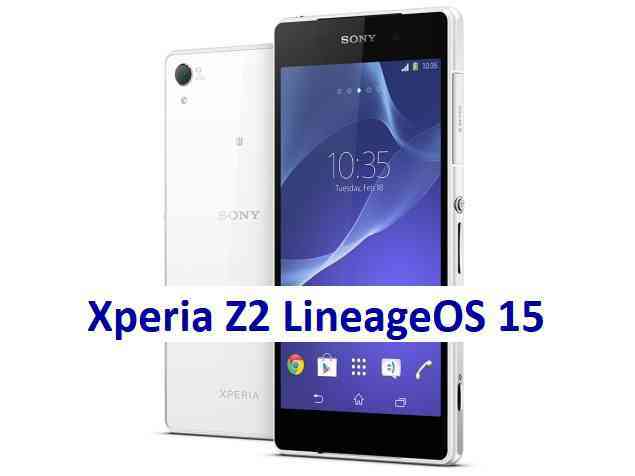 This post provides you the download link to the Android Oreo based LineageOS 15.1 for Xperia Z2 (sirius) and guides through the installation process of the same. This LineageOS 15.1 for Xperia Z2 is brought to you by developer opendata. Reboot and Enjoy Android Oreo with LineageOS 15.1 for Xperia Z2. Copy the latest LineageOS 15.1 for Xperia Z2 ZIP file to the phone. Stay tuned or Subscribe to the Sony Xperia Z2 (sirius) forum For other Android Oreo, Nougat ROMs, LineageOS 15.1 ROMs, other custom ROMs and all other device specific topics.